It was 2009, when the global economy fell into a recession, a significant number of UAE expatriates who racked up massive debts running into several 100's and 1000's of Dirhams, absconded to their home countries without repaying to their banks or lenders. Along them there were hundreds of those who were cancelled by their companies, some of them didn't came back to UAE at time due to family or financial issues and are now facing absconding bans. 70% of those expatriates are Asians and want to return to the Great UAE, to build a future by getting new employment and Business opportunities across UAE. Q: Can I return to UAE without getting arrested? Q: Is there any solution to enter UAE again? Q: How to enter Dubai in case of Ban? Q: Will I be arrest at Airport? Q: How to get a job in UAE if I absconded? Q: I am facing ban due to loans and bank debts, can I re-enter UAE? Q: I am facing Bad debts case in Dubai, require your Guidance. Q: How to remove police case in UAE? Q: How to remove name in Immigration system? Q: How to clear absconding case in UAE? Q: Is Visit or Tourist visa is safe for a runaway person? Q: What to do if I get a Tourist or Visit Visa? Q: I am a loan absconder, can I enter United Arab Emirates? Q: Please give us some tips regarding “How to enter UAE again”? Can I came back to UAE? 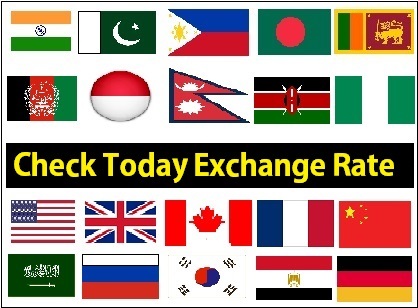 Let us start from the Good News, Unhappily if you’re one of those hundreds of debtors (borrowers) who once run away from UAE for failing to settle mounting loans or bank debts, the returning doors are still open for you to come back and start your expatriate life again in UAE again without landing behind bars. As per our Experience and knowledge, there are still legal ways to get another employment opportunity in the United Arab Emirates, even if you’ve once been a runaway. Chance of Arrest at Airport? We will suggest our readers to check out your pending cases first, it’s better to do some research and finish or clear the pending police case before taking any chance. If any expat who has an ongoing police complaint or Immigration case against them, or an arrest warrant is waiting, there is a risk they will be arrested and detained upon arrival in any state of UAE, even if only transferring flights. So, the risk of arresting at Airport is still high if you haven’t clear your case. Is Tourist visa or Visit visa is safe to enter UAE again? Are you thinking that getting UAE visit or Tourist visa is the sign of no case? No, it doesn’t guarantee that you are free to work in UAE even if you successfully got Visit or Tourist visa. Let us tell you a secret, the UAE authorities will be happier to grant you a Tourist or Visit visa, so they can voluntarily arrest you once you enters the country. Please note that Visit or Tourist visa will be denied/rejected if the applicant with a pending police or court case is inside UAE. But if the applicant is outside the country, it will be approved by Immigration. How to clear name from Police Case? 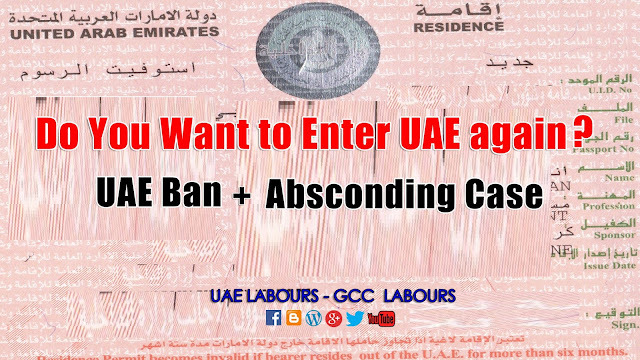 Absconders who want to enter UAE again need to clear their names from Police, Immigration or court case. How to lift absconding case from outside UAE? Let suppose you was involved in Bank debts due to which you get banned from UAE, the first step you have to take is to find a representative here in UAE who can deal with your lender. Once you have called your lender through a representative, the lender will ask the borrower to pay the outstanding amount in full or they may agree to an installment plan. After payment, you are able to collect a clearance letter from your lender (bank, exchange) with the help which you can withdraw your complaint. Unluckily if you are one of those expats who are in the list of absconders, you can follow the same step (case 1). You will have to contact your sponsor, employee or company PRO first by yourself, if it is not possible to contact your company while you are outside UAE, contact them through your representative. He/she can be your family member, friend, colleague or a legal lawyer. Deal with your sponsor, employee or company, let them give you a No Objection letter to remove your name from absconding list with sign and stamp of the owner on company letter head. Please note down that the NOC letter should be in Arabic mentioning the reason of removing or lifting case against you. Company PRO will submit Trading License, owner Passport along with NOC letter at Ministry of Labour to get approval from Ministry. Once your representative had approved NOC letter, he/she need to attest and later submit it at Immigration desk or Police station (in case of Police case). After a successful attestation from Immigration desk, you will have to take clearance letter from Immigration or Police department mentioning “Clearance Letter” as a subject with applicant passport and employee details etc. Submit this letter at Immigration desk on arrival airport before 48 hours of landing. Do we require a written agreement or confirmation from Company/Lender? It will be better to await a written confirmation letter states that the case, arrest warrant has been withdrawn. It should be on Company or Bank (if debts case) letter head with original stamp, owner/officer sign. So, if an agreement can be reached, we would recommend our readers to enter into a formal settlement agreement which, among other things, states the creditor to withdraw (remove) its police complaint or case once the debt has been paid. 1: Check if there is any police complaint or arrest warrant against you. You can hire a lawyer or can get case details through your representative in UAE. 2: Don’t travel to DXB, Dubai International airport until you get confirmation from Bank or company. As per our Experience mostly Passengers with flight connections to UAE especially at Dubai face the risk of getting arrested if there’s been a case against them. 3: Final your deal with the companies, lenders (banks) in order to lift any police case or arrest warrant. 4: If it’s difficult to get in touch direct with the creditor (bank) or company (previous sponsor) find a representative in UAE. 5: If the bank is uncooperative or unhelpful, try to connect with the Central Bank assistance (only for loan absconders). 6: If a police complaint has been filed by Bank or your company, your authorized representative in UAE will have to meet with the bank representative or company PRO at the concerned police station. 7: Please make sure that the company (sponsor) or creditor (bank) will issue a settlement agreement or NOC letter printed on company’s letterhead with company stamp and official signature. Writer Advise: Point 7 should be done before paying any fee, payment because this will attest your creditor (bank) has surrendered the penalties or cleared your name from debts person. One of my cousin is banned be coz of his name Shaukat ali but he is sunny he worked 15 years in uae as driver but now he is banned.any suggestions how to clear his name from immigration office he has got job offer with him. This letter should be in Arabic, take letter and attest it from Ministry of Foreign Affairs at Islamabad. Send that letter to UAE, let your Representative in Dubai submit it to Immigration desk. Your name will be clear from Shias list, and you will get a clearance letter. You can enter UAE using this letter, but don't forget that we are sharing our own experience with you, this is the best way to remove or edit your name from blacklist system. Note: If there is any Registered Islamic Academy, University or College (Islamic Madrasa) in your city, let them help you in this case, they can write and stamp a letter for you on their own letter head. You have to check this with Immigration through your representative here in Dubai. You can call to Immigration department for general Queries as well. I was blacklisted by my former employer I have a ban entering UAE.Do I have a chance to comeback?I don't have any criminal or absconding case but she ban me in immigration. Black List persons can only enter UAE once their case clear or re-take by employer. if they didn't re-take their case then what can we do? I have a friend she is a maid and she run away..how can she be legal again she's still here..can u suggest what is the possible solution to be a legal again and not having a lifetime band.. Check respective regional Immigration from where the visa is issued (Dxb, shj etc) for the overstay penalties and apply for waiver case in immigration court. Once paid, then speak to Old sponsor to give release and take new visa. hmm I think ma'am/sir my friend they cancelled already since she run away after a week only they got a new maid from the agency..can she not talk to her previous sponsor or is it fine ma'am/sir to look for another sponsor?..can I ask also ma'am/sir where is her passport because I have no idea where is it I really want to help my friend to clear her status here because she still young so that she can look for another job here and to support her daughter..thank you for your kind and consideration..I hope you can help me regarding my question..thank you and have a nice day ahead! Hi,ihave a case before in bank.but i alredy finish.i just make only penalty in court.and i take also police clerance and court clerance.posible that bank can make another case agains with me?and can i travel also outside u.a.e? Hello, I wanted ask u, I live in Dubai and I have a problem, I am not able to pay for an appartament where I lived, and I brought the case,now I have to pay more than 35 thousand derham,but I have no money, can I to fix this thing, and how, help me please!!! Salam. My name is Ali. I worked 2 years in the hotel and then retired and was looking for a new job in that time rented a car, my neighbors asked me drop them in to Rasalkhaimah.Wen we rich Rasalkhaimah SIDI police stopped as and put in jail and given case that I was selling people although it has not been, it is even neighbors confirmed. Lower given for me he did not even come up to me in the end I was tried and sentenced that I trade in human beings after a while I was deported from Dubai on always. In Dubai, I really enjoyed it although there otretsatelnye impressions of Rasulheymy, in Dubai but other people are good and very good. I am currently working and studying in Moscow for 3 years really I want to go back to Dubai. thank you in advance.please help me. I completed about 11 months and then i go back to my home country with family, due to some reasons unable to return and send my resignation by mail and contacted with company several times to cancel my visa and clear my dues, but they didn't answer. Now my visa is expired and my family also staying out side more than six months. This is Manish Kumar. I left Dubai in June 2011 without visa cancellation (came to India on vocations but could not go back). My visa expired on may 2013. Now i want to apply for job in Dubai. I checked inquiry about GDRFA-D, it shows THE RESIDENCE IS INVALID........!! Has my visa cancelled ? This is my humble request to you, Please check and advice what should i do if it is not cancelled ? Entry permit No - 20120082208759. I am a u.s. citizen. I was working with ERS (Emergency Response Services) my company did not receive a renewal contract with the military, so I received a notice of termination letter. I also have a loan and credit cards from the NBAD bank. I have job loss insurance on the loan. My question is will I be prevented from leaving the u.a.e? I have a job offer in Iraq, but will I be allowed to return to the u.s. to take all necessary exams to deploy? i am sunil kumar i was working in sharjah company name is khatoot al aman there i compete two year and submit my setelment to company but next day company open the case on me in labour from labor he ban to me for one year.after that i request again in labour to request to ban . but they send to text massage in my mobile 06.03.2017 come to ministry of labour .when i go to labour the said to me my file is closed . then i ask owner to give me my passport but he give my passport in emigration .and when i come to imigration they catch me in emigration and send to me centeral jail.now they will depot me today or tomarrow . i start my own company i am my self owner . My husband has a pending fine payment on the 21st of August and we have all the documents but the travel agency filed a temporary closure -absconding case against him what should we do? I suceeded an over stay of 1year and 5months after i finished the contract in my previouse job for the reason i did not exit from uae after canceletion,and they file me a case of absconding.my question is..is it possible for me to go back my country without entering deportation becouse i will provide my own air ticket.. hope for your kindly responds on my problem thankyou. I have was working for a manufacturing company in Dubai since 1year 3months.and 3 months ago I just resigned and broke the limited contract! Now I'm facing 6months labour ban! Still 3months down to finish ban period! But I'm getting many job offers from reputed companies! I'm I allowed to get visit or tourist visa of 90 days? But I have a ban in dubai. there will be any issue just tresspassing? case is this 1 year absconding ban on me i leave dubai 16 jan 2016 after complete ban my name can not remove of system of black list in labor department and immigration what i do???? my 3 month visit visa application is under process can not issue visa how i remove name in blacklist. With due respect I state that I had been working with Professional Security system for over 16 month. My case has been under process from last four month. I applied for withdraw absconding , complaint No. MB990653207AE dated 23rd November 2017. But unfortunately I have not been received any message or call from you as yet. Then again I got reopened my case withdraw absconding, complainet No. MB180938104AE dated 4th of Feb.2018,but again this time i have not been contected so for. Last time I met with legal adviser named Mr. Abdullah Muhammed Abrahim Al oziw dated 21/2/2018, he told me they are going to contect me within two days but same as before I was dumped badly. Now I have sent to you the attached necessary documents by this very e mail. Moreover. my visa is going to expire 15/4/2018. As you know that I am running out of time and I have been suffering from many months, now I very humbly requested you to take personal interst and look into my case to remove my absconding so that I could go back home country. Thankx for sharing this useful information.Apply Onlineonline Transit visa application for Sri Lanka , Transit Visa for Sri Lanka . Hi I was working with abudhabi nataniol hotel in 2013 I came home and not get back to work now I have ban how can it removed try to contact with company but no answer help me for that. Now I want to go to OMAN, is it possible to enter Oman without any hassles?